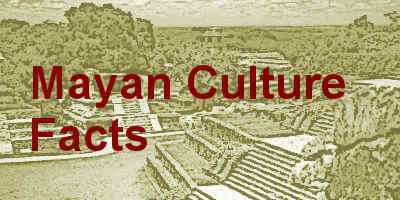 The Mayans were one of the most remarkable Mesoamerican civilisations which existed for more than a thousand years. The Earliest Mayan settlements and major cities began to come into being during the 1st millennium B.C. and Mayan cities in the Yucatan Peninsula still existed when Spanish conquistadors came to Mesoamerica in the 16th century. Mayans were remarkably advanced for their age and had a very efficient hieroglyphic writing system, an advanced calendar, knowledge of astronomy and mathematics, and the ability to build grand monumental stone structures in their cities. Most of the monumental structures from major Mayan cities still exists today and is a rich archaeological source of information about their civilisation. City-states: Mayan civilisation comprised of different city states. This form of the rise of civilisation was the same as the rise of civilisation in Ancient Greece. Different Mayan city states rose to prominence and power during different time periods. Astronomy: Mayans had a profound interest in astronomy. They observed celestial bodies and were able to accurately track solar movements as well as the movement of planet Venus. They had dedicated buildings and temples which served as astronomical observatories. Writing system: Mayans had a complex hieroglyphic writing system. This system comprised of logograms and syllables, making use of both phonetic and non-phonetic devices. Using this writing system, Mayans wrote a number of books, only a few of which are extant today. These books were primarily on topics related to astronomy, religion and mythology. Mayan class system: Mayans had a strict class system, much like other Mesoamerican civilisations. In Mayan society, the nobles and priests formed the highest class. Nobles occupied most political and military offices. Merchants and craftsmen stood next on the social ladder while peasants and slaves were at the bottom of the hierarchy. The peasants and nobles were forbidden from possessing any art pieces or adorning their dresses with things associated with art such as feathers. Mysterious fall of Mayan civilisation: In the 9th century, all the major Mayan centres in the southern regions of the Mayan civilisation suddenly collapsed. After this, the Mayan civilisation no longer existed in the southern regions and Mayan centres began to form in the Mayan northern regions and lowlands. So far, researchers have been unable to find the exact cause of what brought about this sudden downfall of the Mayan civilisation. Mayan calendar: Mayans had a complex calendar which comprised of multiple cycles. Mayans based their calendar cycles on solar and lunar cycles, and were accurately able to predict eclipses. This calendar was divided into different cycles, and Mayans believed that the current cycle began in 3114 B.C. It ended in 2012 and was accompanied by many Doomsday predictions. Mayan human sacrifice: Mayans believed that their gods waged wars and needed reinforcements. They considered human blood an apt tribute to their gods and believed that the blood of the sacrificed victims would strengthen their gods. In offering sacrifices, Mayans chose brave warriors, often captives from enemy lands. They thought that the braver the victim was, the more strength his blood would impart to the gods. Mayan stone pyramids: Mayans built huge structures of stone in their cities. These included temples, pyramids, palaces and observatories. Most common were the pyramid-temples which were stepped stone structures with shrines or temples located at the top. It was here that the Mayans performed human sacrifices, offering the victim’s heart to the gods and throwing his corpse down the steps of the pyramid. Mayan ballcourts: Mayans were very fond of a sport called ballgame. This sport was popular in all the ancient Mesoamerican civilisations. It was played between two opposing teams using a large rubber ball at a specific stadium-like structure called a ballcourt. One of the grandest and most imposing ballcourts found in Mesoamerica was constructed at the Mayan city of Chichen Itza. It measures 272 feet in length, 98 feet in width and has 27-feet high walls. Ballgame as basic basketball: In some variations of the ballgame, players were required to toss the ball through a hoop fixed in the wall. It has been surmised that this form of the game was the precursor to modern-day basketball. Use of hallucinogenic: Mayans had an advanced knowledge of medicine and herbs. This included the knowledge of several hallucinogenic plants which Mayans consumed during religious festivals and rituals. These hallucinogenic also served as painkillers. Mayan steam baths: In the homes of the Mayan nobility, special rooms were constructed where steam baths could be taken. These rooms comprised of slits in the ceiling from which sunlight poured directly on the stones below. Water was then poured on these stones after they were heated to a very high temperature and this produced steam. Steam baths were also associated with healing. 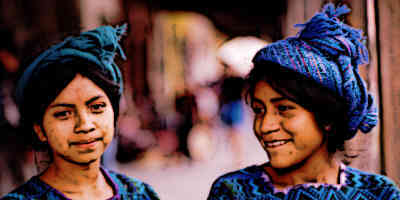 Shaping physical features of children: Mayans considered flat foreheads and crossed eyes as beautiful features. For this purposes, boards were used to press the foreheads of the children at a very young age so as to flatten them and give them the desired shape. Similarly, objects were dangled in front of the babies to make them cross their eyes. Mayan mathematics: Mayan had a base-20 numbering system. It made use of dots and bars to represent different numbers. Among the ancient civilisations, Mayan mathematics is remarkable for their understanding and use of zero. Mayans used the symbol of a shell to represent zero. 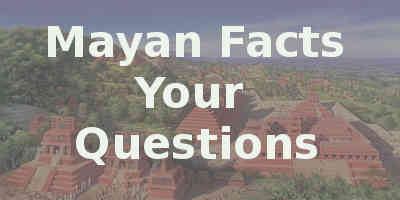 Mayan cities: Mayan built huge cities with advanced living facilities. They properly planned their cities, built monumental stone structures such as pyramid-temples and palaces at the centre of these cities and brought fresh water supply to its inhabitants. In many Mayan cities, the population exceeded more than 100,000. Water storage system: Mayans relied heavily on water from rain for their agriculture produce. But rains were uncertain, so Mayans resolved the problem of water availability by using different methods of storing water. They used networks of cisterns to collect rainwater, and plastered these cisterns so that water loss could be mitigated. From these cisterns, water was then supplied to the Mayan cities. 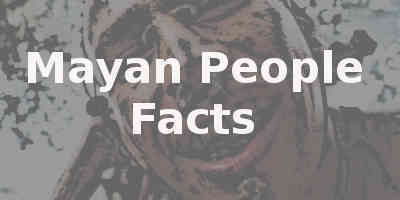 Mayan mythology: Mayan mythology was elaborate, detailing the creation of mankind and the role of different Mayan deities. Mayans believed in an underworld, where the souls of the dead went, and a world located in the sky which was a sort of heaven. Blood sacrifices were often offered to the deities and natural phenomenon was routinely associated with them.